Why are people willing to pay $400 for an ice chest if they have never been camping or fishing in their lives? Why do kids save up to buy $200 basketball shoes that don’t help them play any better than other shoes? How did a dying cologne brand turn itself around to become a category leader? The answer: Branding. Mistake #1 – Thinking your brand is the same as your company. There’s a difference between a company and a brand. A company is what your organization does. A brand is WHY your organization does that. A company usually dies along with its owners. A brand can live on for generations. A company is a name and logo. A brand is what that name and logo mean, and the feeling people get when they see or hear that name/logo. Great companies know the difference and build their companies around the brand, not the name and logo. In the case of Air Jordan’s, the brand stands for greatness. That’s what kids are buying. It’s not the “silhouette” of Michael Jordan. They are buying the dream of being great like Michael Jordan. So understand that your brand is much more than a logo and name. A great way to get an understanding of your brand is to start with your mission statement and your company values. Hone in on why the company exists beyond just making money. At the very least you should read the fantastic branding book “Start with Why” by Simon Sinek. It will get you headed in the right direction. Mistake #2 – “Focusing” your brand on many things. Yes, we know your company delivers many, many, many great benefits to your consumer. Way more than your competition. Your brand is higher quality and costs less. And you do it faster. Yes. Yes. You deliver it all. Unfortunately, this type of thinking is why so many brands struggle. They try to communicate too many things. Without thinking too much, what do the following brands stand for : Coca-Cola? Nike? Dove? Geico? REI? I’ll go ahead and bet that if I asked 100 people that same question most would say some variation of Happiness, Competition, Women’s Empowerment, Humor, and the Outdoors. These companies deliver a lot. They deliver refreshment, technology, quality, low pricing, and great selection. But they only stand for one thing. That’s what allows them to be memorable and occupy a space in people’s hearts and minds. They have one single goal and they stick to it. 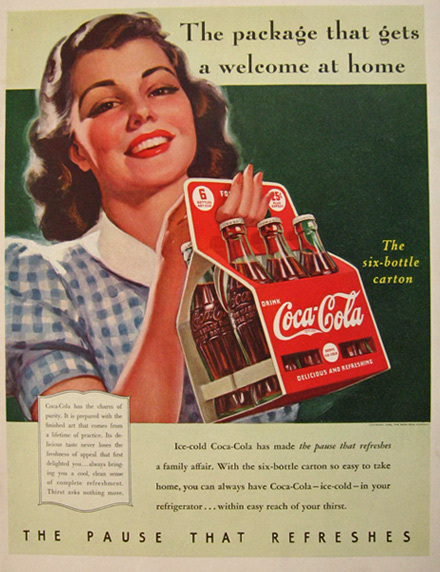 Coca-Cola has been about happiness for decades. REI believes so much in the outdoors that it shuts its doors on Black Friday (the biggest shopping day of the year) to encourage people to go outside. These brands get it. If you asked 100 of your customers what your brand stands for would most of them say the same thing? Or would you get 100 different answers? Go ahead and send out a survey to your consumers and see what they say. You might be surprised how diluted your brand message has become. Mistake #3 – Setting your brand in stone. This is probably why most brands undergo drastic brand overhauls. Companies get complacent or lazy or just don’t want to rock the boat when things are going well. They resist change. Even if the signs are on the wall that things might be going south, they stay the course. Unfortunately, many companies wait until their brands are completely irrelevant before deciding to make a change. They wait until sales are down and jobs are on the line. Culture changes. People change. Brands can change too. That doesn’t mean you become a Dr. Jekyll and Mr. Hyde. Again, think about Coca-Cola. They have always been about happiness. In the “old days” happiness was about family time. Today happiness is about inclusiveness and acceptance of others. Great brands can adjust how they communicate their values over time without losing what they stand for. One great way to ensure your brand is alive and thriving is to do an annual or biennial (every two years) audit. Look at the behavior of your consumers and use social listening tools to get a clear understanding of how people are speaking about your brand, and what other topics are important to them. So there you have it. These are the top three branding mistakes I’ve encountered over my 14 years in the industry. The best part about these mistakes is that they are all fairly easy to correct. I think the most important thing to remember is that your brand should be a priority. The longer you put off investing time and money into your brand the higher the chances you are losing out on sales, producing ineffective brand communications, or becoming irrelevant. If you feel you might need professional assistance, we’re always just an email away at sit@tiltedchaircreative.com.